﻿Off the back of the recent direct flight launch from Manchester toSan Francisco, the company is awarding the city even more rightful recognition with additional European connections. Not just a huge advantage for holidaymakers and those wanting to fly from the North West to many Spanish cities, the company’s friendly relations are a huge plus for those with holiday homes in Spain or those who have frequent visitors from the UK. The new routes will provide an additional 35,000 seats from the north West, and for good reason too as BA chairman and chief executive Alex Cruzsays “These are the destinations that our customers tell us they want to flyto”. With Manchester now in the top 20 busiest airports in Europe, more people are wanting to fly from the city than ever before, with Spain being just as popular if not more so than previous years. Manchester is the northern powerhouse now and as the UK’s global gateway for the north, it’s only right that itis granted additional connections. ManchesterAirport itself has recently just celebrated its busiest April ever, with more than 84,000 passengers passing through the three terminals on the 7thApril. The city’s new connections will include; Málaga, Alicante, Ibiza and Palma and are set to launch starting from the 18th May. All new return flights from Manchester will operate once a week at weekends, except for the Ibiza route which will operate 3 times a week. British Airways aren’t the only ones adding more Spanish cities to their list this year. Monarch will begin flying to Valencia from Birmingham starting from June and Ryanair from Birmingham, Newcastle, Leeds Bradford, Edinburgh, Glasgow Prestwick, Liverpool and East Midlands to Girona. Easyjet also announced direct flights from Gatwick to the historical town of Granada, with the DirectorGeneral of EasyJet Spain, Javier Gándara, saying: “We’ve always said that Spain is a key market for Easyjet and are delighted to be able to announce operations from a new airport such as Granada”. It’snot only the UK who are expanding their networks further, Scandinavian based SAS operated 21 routes to Spain this winter and have plans in place to expand bases in London and Spain, understanding that the demand and competition for Spanish flights is higher than ever. Of course this is great news for Spanish property owners and estate agents alike, as more prospective buyers can fly to popular destinations such as Murcia, Málaga, Alicante and Valencia. Increased flights will make it much easier for homeowners to visit their holiday homes in the sun this summer without travelling too far, whether they live close toManchester or 20 minutes from Murcia airport. 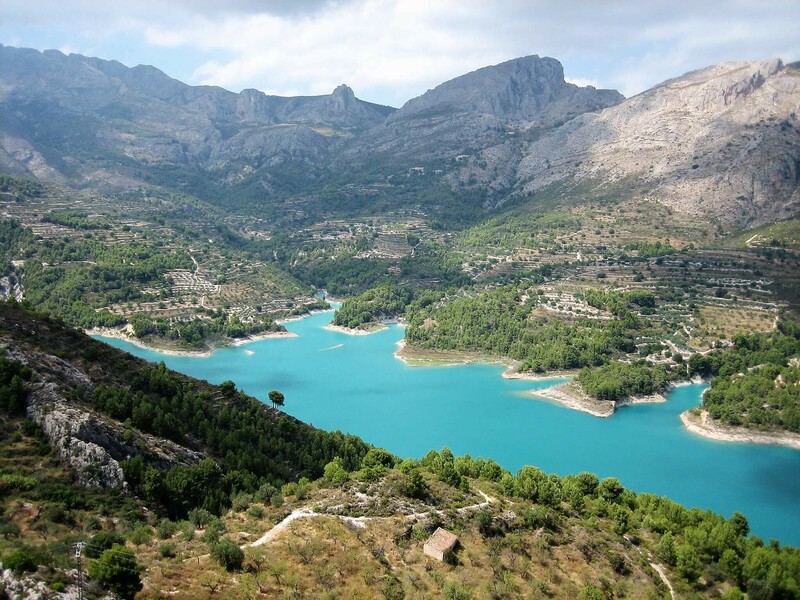 Also with an increased interest in Costa Blanca North and the opening of our new office in the region, it’s great news that more flights from the UK will target Valencia, as the airport is an additional option for our clients visiting the region, being just 1 hour from Dénia. Many of our clients will now be able to fly from possibly more local airports straight to Spain, whether they’re on viewing trips to see potential homes or officially moving in, it’s great news for everyone.